Ukraine and Russia have agreed on energy for the winter, what about Ukraine’s energy supplies for the coming decades? Russia’s annexation of Crimea and ongoing conflict in Donbass put Ukraine’s energy future in peril. In its 23 years of independence, Ukraine has achieved little to build its energy security. Given its vast potential, how has Ukraine managed to achieve so little in developing its energy resources? There is no “silver” bullet that will extricate Ukraine from its energy crisis. Now that Ukraine and Russia have agreed to natural gas supplies for this winter, what about Ukraine’s energy supplies for the coming decades? Russia’s annexation of Crimea and the intensifying conflict with Russian-backed separatists in Ukraine’s eastern Donbass region are not only attacks on the country’s territorial integrity – they put Ukraine’s energy future in peril as well. Its offshore oil and gas resources are mostly near the Crimean peninsula, and much of its onshore resources are in the Donbass. Important energy investment projects are now on hold. Royal Dutch Shell and ExxonMobil have tabled negotiations on a $10 billion investment to develop the Skifska offshore gas field near Crimea. Shell has also put on hold its exploration activities in the Yuzivska shale gas field, which lies directly in the conflict area outside Donetsk. Ukraine imports over 60% of its natural gas consumption and over 80% of its crude oil consumption, mostly from Russia. Yet its abundant energy resources could provide for more than 100 years of natural gas consumption and transform the country into a net exporter of energy. This still holds true. Ukraine will require billions of dollars in investment in natural gas and crude oil production, as well as in energy efficiency improvements, to secure its energy future. More than two decades since gaining independence, foreign investment projects represent less than 10% of the country’s oil and gas production. We collaborated on energy-related projects in Ukraine during much of the 1990s and 2000s. This was a period of lost opportunities, where the country’s Byzantine, corrupt government structures and infighting among local interests forestalled initiatives of U.S. and European strategic investors in the energy sector. Ukraine’s first and only offshore oil and gas production-sharing agreement, for example, was awarded in 2006 to Vanco Energy of Houston in a much-heralded tender that followed Ukraine’s Orange Revolution. Ukraine is now at a critical crossroads – with its unresolved territorial conflicts with Russia, an economy on the brink of collapse and yet a new parliament that is decidedly pro-European. In this context, how must Ukraine proceed in order to secure its energy future? There is no “silver” bullet that will extricate Ukraine from this crisis. While containing the conflict in Eastern Ukraine, the country’s President Petro Poroshenko and Prime Minister Arseniy Yatsenyuk, will need to engage in decisive, concerted actions to establish Ukraine’s energy sector as a reputable place for foreign investors to do business. 1. Build momentum by assuring that private-sector projects already established in undisputed territories proceed. This includes allowing emergency budget legislation that doubled the tax rate on natural gas production to 55% to expire at years end. 2. Improve the country’s attractiveness for energy sector investments by instituting market prices for industrial and residential energy use, as has already been agreed with the International Monetary Fund, and reforming tax and regulatory policies to incentivize investment. 3. Develop innovative solutions for energy supply diversification, including the intensified development of renewable energy sources. 4. Develop investment programs to improve energy efficiency in the industrial, commercial and residential sectors, where Ukraine’s energy intensity per unit of GDP is 3.2 times higher than the OECD average. 5. 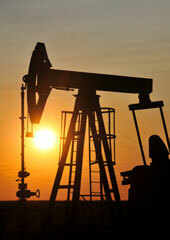 Establish a dedicated financing vehicle for energy-sector projects with international financial institutions (i.e. the EBRD and World Bank Group), with a special oversight group to safeguard against corruption and assure the transparency and progress of such investments. For now, Messrs. Poroshenko and Yatsenyuk will enjoy an unprecedented mandate to pursue such measures. Their newly formed political parties each received 22% of the vote in Ukraine’s October parliamentary elections. Yet they should take heed: Mr. Yanukovitch’s Party of Regions has virtually disappeared, as has the Our Ukraine party of Ukraine’s former president Viktor Yushchenko. Amidst all this turmoil, the Ukrainian people have proven themselves to be the final arbiters of their government’s success. They expect results. 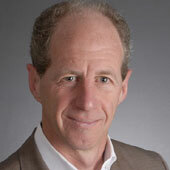 Geoffrey Berlin is the founder and chief executive of Retrofit America, Inc. Ambassador Keith Smith is a Distinguished CEPA Fellow in Residence. Ambassador Smith was previously a Senior Associate at the Center for Strategic and International Studies (CSIS).